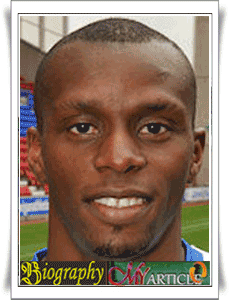 Henri Camara was a professional football player from Senegal. He was born on May 10, 1977 in Dakar, Senegal. Currently he is one of the officials of the Club Atromitos and playing at the position of striker. He also included one of the Senegalese national team players. He began his career in France with RC Strasbourg (1998-1999), before playing for Neuchâtel Xamax Switzerland (1999-2000), and Grasshopper-Club Zürich, where he won championships in Switzerland in 2001. Camara made international debut for Senegal in the African Cup of Nations qualification against Nigeria on 28 February 1999. He also appeared at the 2002 World Cup. In an international career, Camara could play for Guinea as his father was born in Guinea. But she chose Senegal. When I was young, I received an invitation from Senegalese youth team and his father didn't want to play. His dream is for me to play for Guinea. But Senegal is a country, so he decided to play there.